Wee Gallery, best known for their gorgeous black and white graphics which have been pleasing eye candy to many a happy babe via their mobiles and art cards, is now treating tiny ones to a more tactile experience by way of their organic cotton soft books. 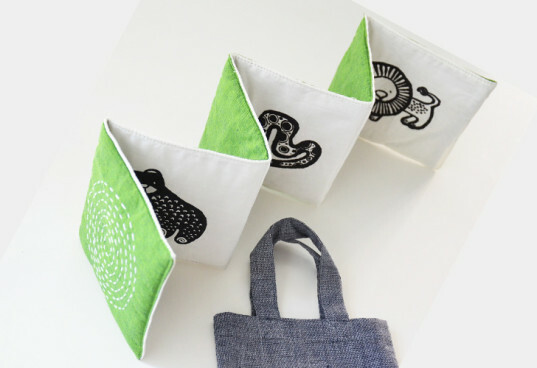 Based on themes of jungle, garden and animals, each book is handmade with GOTS certified, hand-loomed organic cotton, and hand-embroidered in India -- and no two are alike. Each of Wee Gallery’s certified organic cotton soft books feature six simple, yet visually striking black and white images and high-contrasting patterns which are meant to stimulate visual development in babies. Each 6×6″ book comes in a one-piece accordion panel and includes a cloth carrying bag. And if baby wants to add some gnawing time to his reading session, fret not, the books are hand washable. 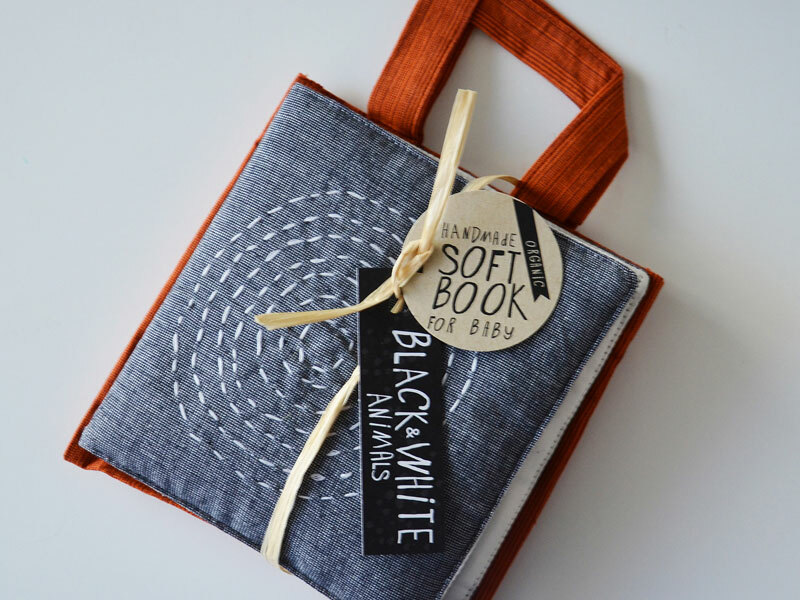 Each of Wee Gallery's certified organic cotton soft books feature six simple, yet visually striking black and white images and high-contrasting patterns which are meant to stimulate visual development in babies. Each 6x6" book comes in a one-piece accordion panel and includes a cloth carrying bag. And if baby wants to add some gnawing time to his reading session, fret not, the books are hand washable. Choose from three styles - Jungle (shown here), garden and animals.